It has been raining Puma colourways these last few days and you can't help, but feel that spring is just around the corner now. 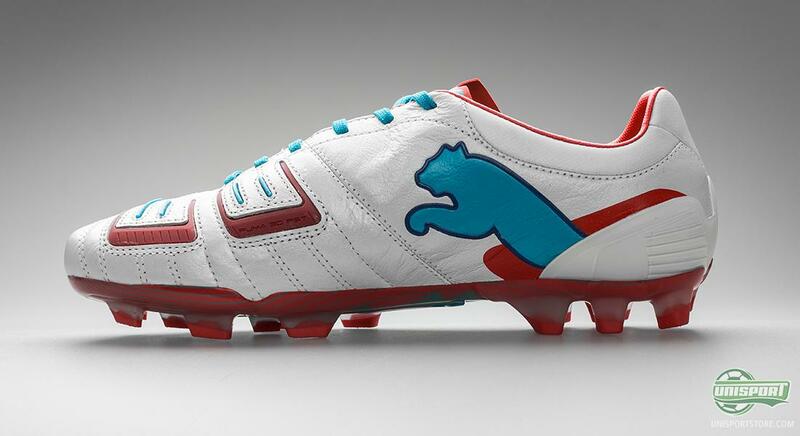 The time has come for the Puma Powercat 1.12 SL, which will be showing off in Red/White/Blue from now on. 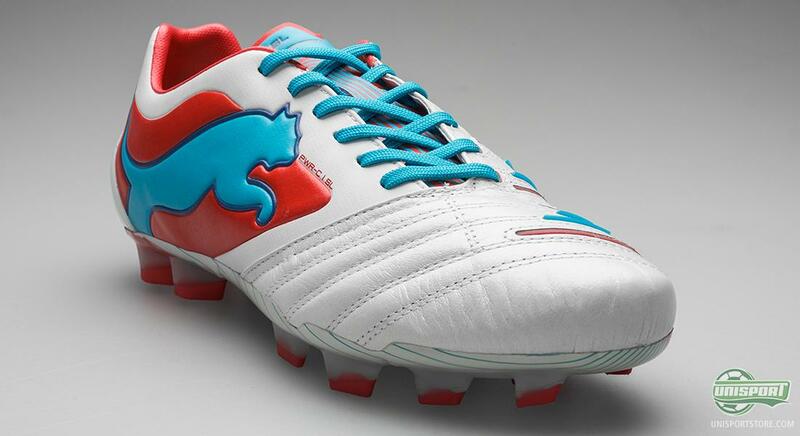 Puma Powercat 1.12 is now almost the only boot on sale that promotes itself as a power boot. This has made it very popular, because it like promised delivers exceptional power, but if you want something more than pure brute force, then taking an extra look at the finely tuned and extra light SL-model isn't such a bad idea. SL stands for superlight and this boot definitely lives up to the predicate, especially when considering it is a power boot. It has been on a serious diet and has shook no less than 43 grams of the weight, which means it now weighs just 252 grams. Has the Puma Powercat 1.12 SL sparked your interest? Then we are sure you cannot wait to hear what the German brand has pumped in the 252 grams?. 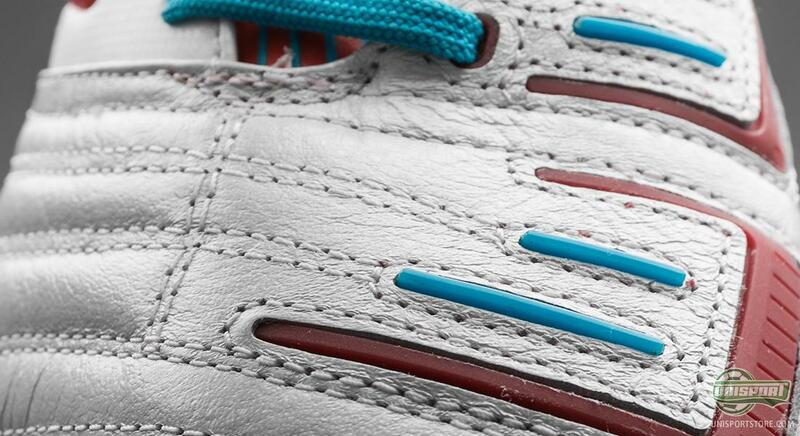 It can be said in quite frank terms: Fantastic comfort, good touch on the ball, first-class protection from knocks and kicks, as well as the quality it is most famous for, which is amazing strike improving capabilities. If we start off by looking at the upper, we can see that there has been used a single piece of fantasic kangaroo leather. 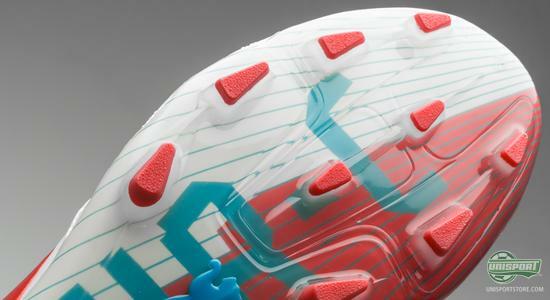 It covers the entire front foot, as well as, the inside of the boot, and once you have broken in the boot, it will start to shape itself to accommodate to your foot and give you an incredibly nice and personal fit. 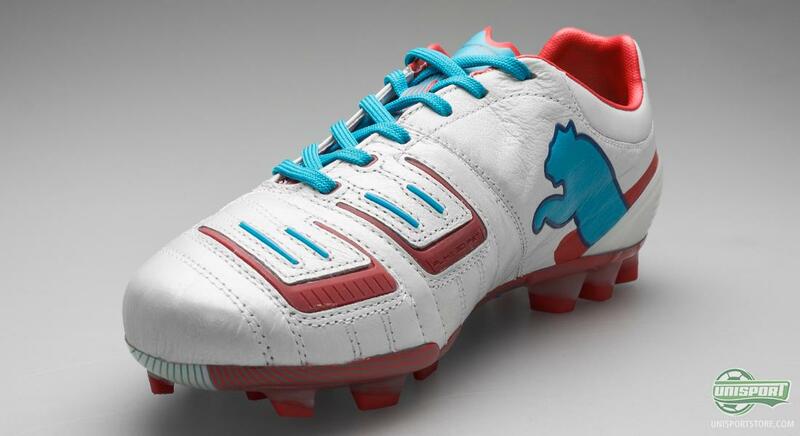 On the Powercat 1.12 SL, the upper has even been made thinner during the tanning process, than on the regular version, as to save weight and give you an even sharper touch on the ball. Puma have always been famed for their boot's high levels of comfort and the Powercat 1.12 SL is far from an exception. It is built up around the same last as its regular namesake and is among the very broadest on sale. 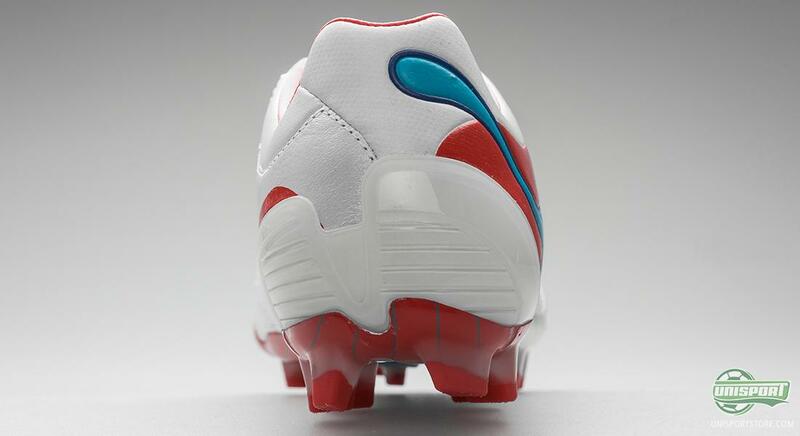 This means that all types of feet will be comfortable in the boot, which makes them a very attractive for big powerhouse players, who want to hammer in the ball with pure force. 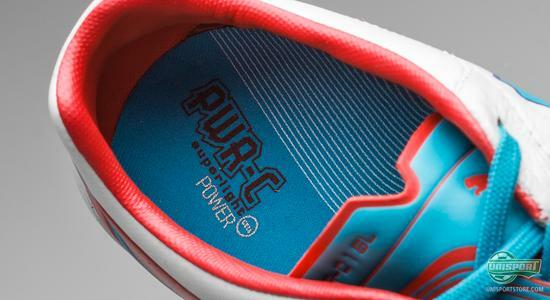 Power and strike improving qualities are the main attributes connected with the Puma Powercat 1.12 SL. 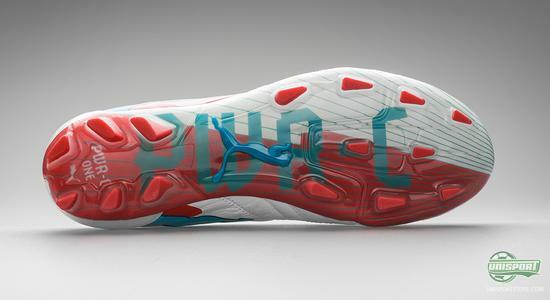 On the front of the instep you will find Pumas 3D Power Shooting Technology, which is built up around small fins. When you strike the ball, the small 3D fins will contract and afterwards expand at extreme speed, which releases a lot of energy that is then transferred to the shot. 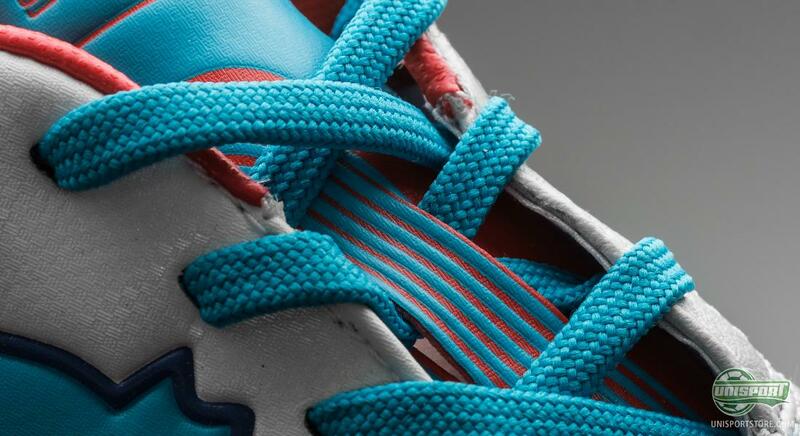 The stud-configuration is fitted onto an outsole made from PEBAX, which combines low weight with high flexibility and springiness, to give a strong kick-off from the ground when accelerating. 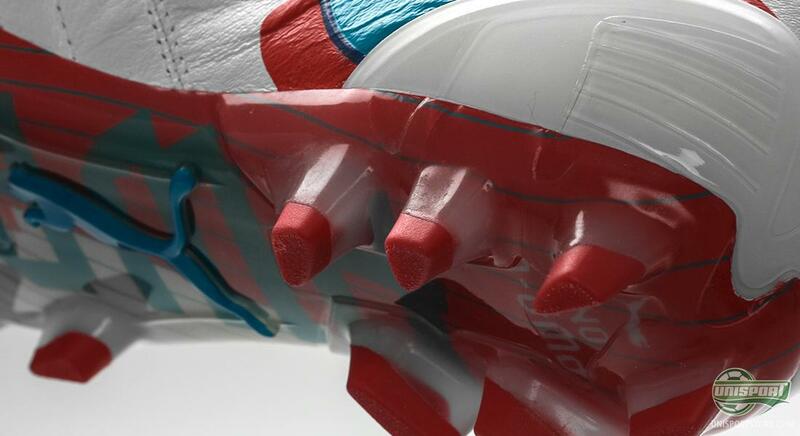 The stud-configuration is built around bladed studs to give optimised grip in the pitch, but to avoid comprising on the stability, the heel has a whopping six studs. 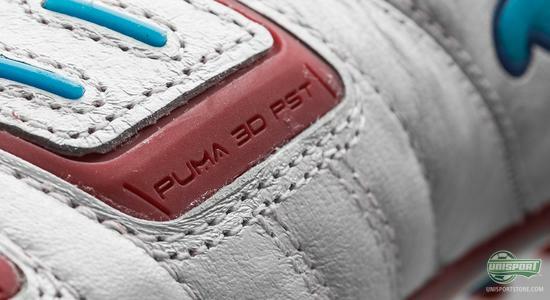 The big guns are really lining up for the spring of 2013 and the Puma Powercat 1.12 SL White/Red/Blue offers a very fresh breath of colours for the Spring-season that is truly looming in the not to distant future. What do you think about it? 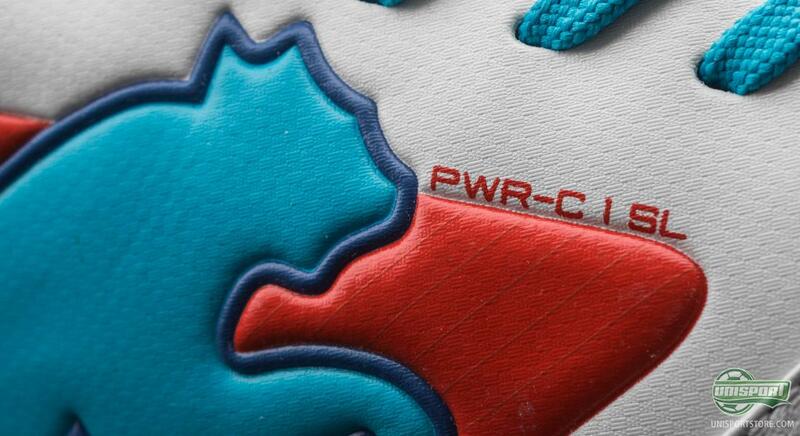 Will you be matching Marco Reus' boot choice? Share your comment in the box down below.